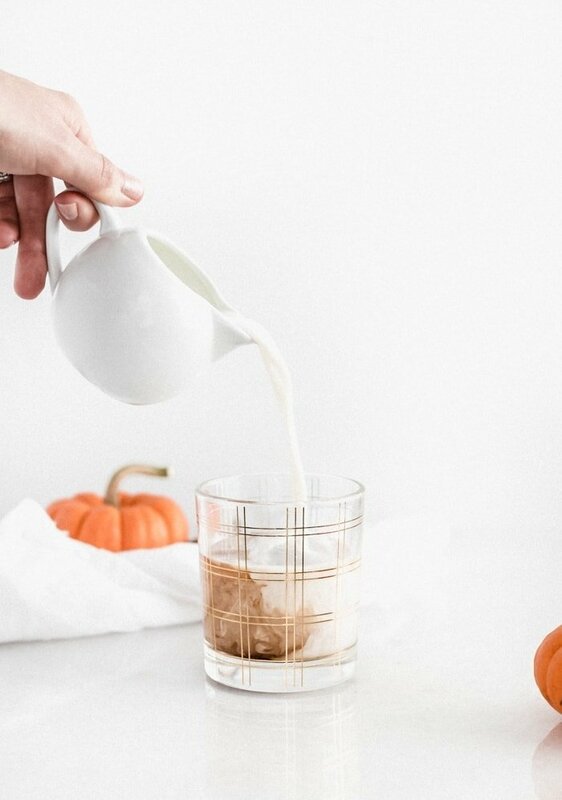 The Pumpkin Spice Latte gets an adult upgrade with this delicious Pumpkin White Russian cocktail it’s a fun fall twist on the classic White Russian! If you’re still searching for the perfect fall or Halloween cocktail, look no further. I’ve got you covered with this super simple, delightfully delicious pumpkin white Russian! The pumpkin white Russian is a seasonal version of the original White Russian, made famous by the movie The Big Lebowski. The first time I’d ever heard of the coffee flavored, heavy cream-laced cocktail was when my husband forced me to watch The Big Lebowski so that I could understand half of his movie references. I did learn the references, but more importantly, I learned about the White Russian. 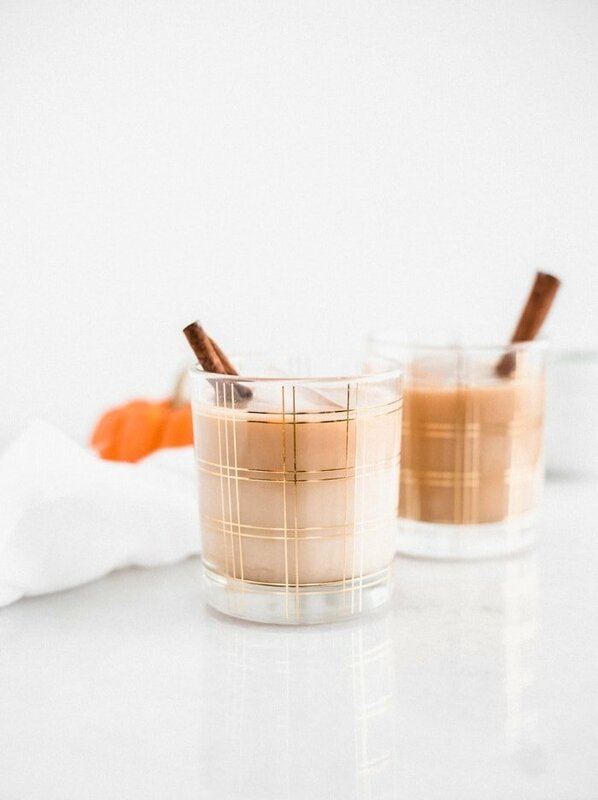 My festive fall version is a fun twist on the White Russian. It’s still creamy and delicious. It’s still super easy to make with only three ingredients. BUT it’s got the delicious pumpkin spice flavor that is everything fall. It’s the perfect cocktail for sipping by the fireplace or a great after-dinner drink. It’s also the preferred trick-or-treating beverage to add to your coffee cup to help you deal with hundreds of screaming children showing up at your door in questionable costumes begging you for candy. I like to use the natural coffee creamer because it’s made with just a handful of ingredients and no oils, but if you’re trying to watch your sugar intake, there are sugar-free versions available that also help control calories a bit. 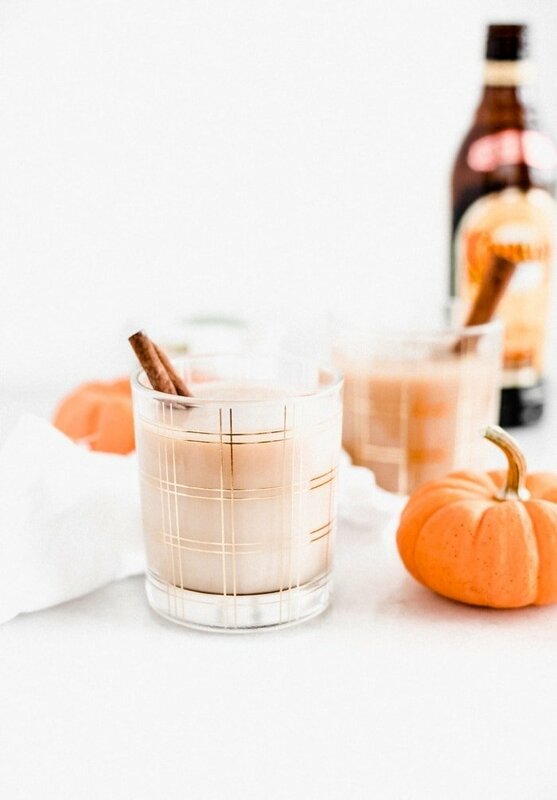 So next time you’re in the mood for a sweet after dinner cocktail, or NOT in the mood for costumed kids hyped up on sugar, sit back, relax, and pour yourself a nice pumpkin white Russian. The Dude abides. Fill a rocks glass with ice. Add vodka, Kahlua and creamer and stir, or for a swirled effect, slowly pour creamer over the glass off the back of a spoon. Enjoy! Well this looks pretty darn perfect for the weekend! I love a White Russian and I’m really excited about trying this fall version. My husband loves “The Big Lebowski”, I wasn’t a big fan at first but it’s definitely grown on me over the years. Thanks Sonali! Let me know if you do! I still kind of think it’s a pointless movie, but at least I understand what he’s talking about now! What a great idea for a fall cocktail! 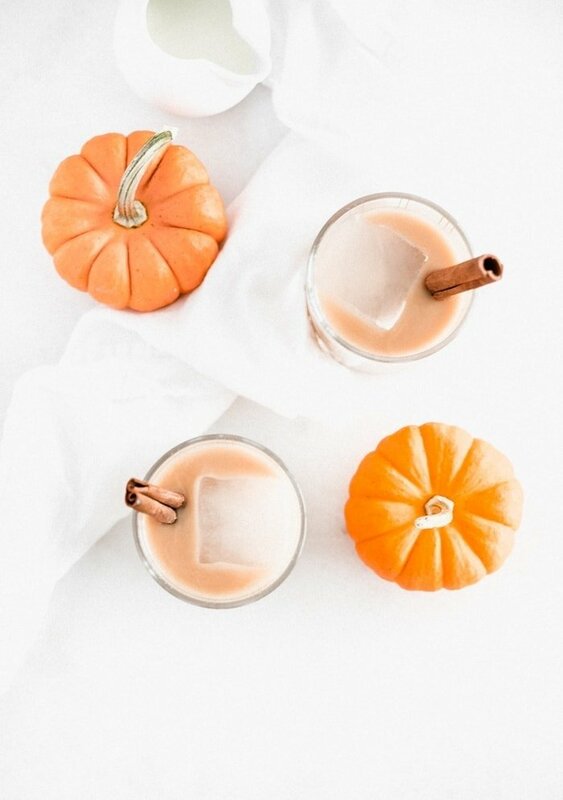 Such a creative way to turn a classic drink into a seasonal treat!